Getting help with Childcare costs can seem like a minefield but do not worry. 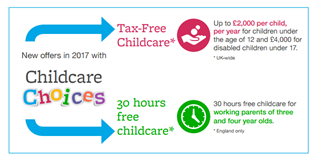 The website below is a 'one stop shop' for parents to find out about how the Government's Childcare support can benefit them. 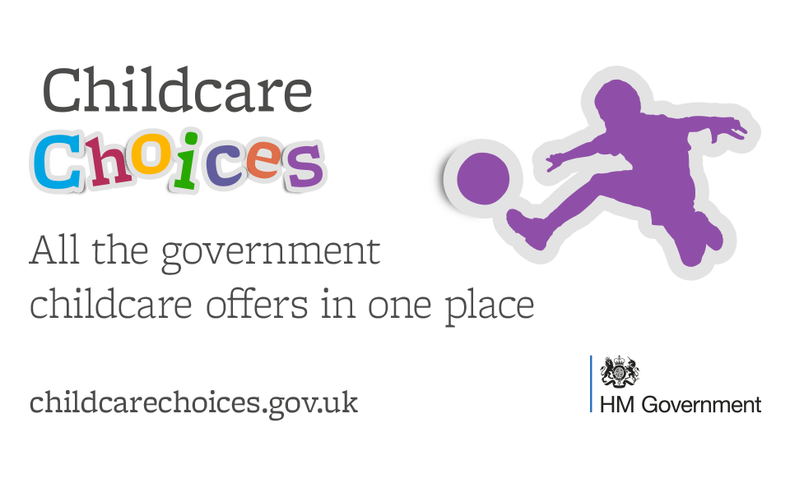 This new Childcare Choices website makes it easy to find out what’s on offer with minimum fuss. Childcare Choices are introducing two new government schemes which will be rolled out gradually in 2017 – Tax-Free Childcare and 30 hours free childcare. Parents will be able to check their eligibility now using the online childcare calculator and, if eligible, submit an online application ahead of September. 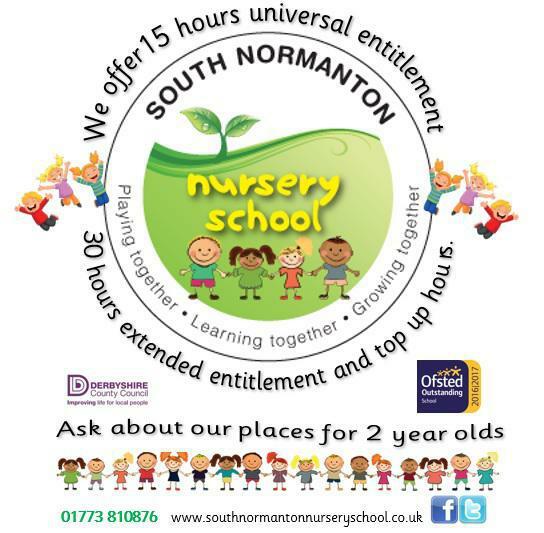 Once signed up, parents will receive an eligibility code to take to their childcare provider. Childcare providers will then check the code with their local authority. If eligible, parents can book their 30 hours place. Please follow the link below to access the online calculator and to find out what you are eligible for. 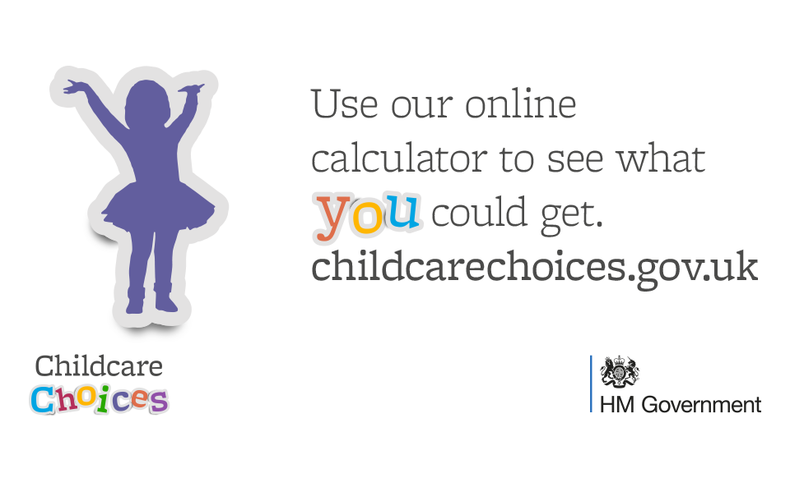 Using the Childcare Calculator parents can see what different offers are available to them and choose what works best for their family. As parents, you can also use the website’s ‘keep me updated’ tool to register to get updates when you become eligible to apply.